It is quite common to differentiate just from the name “Acidosis VS Alkalosis”, but I am going to address main differences to make it easy for you to remember and call it when needed. The balance between acids and basis is called pH balance and having too much or too little base or acid can cause pH imbalance. 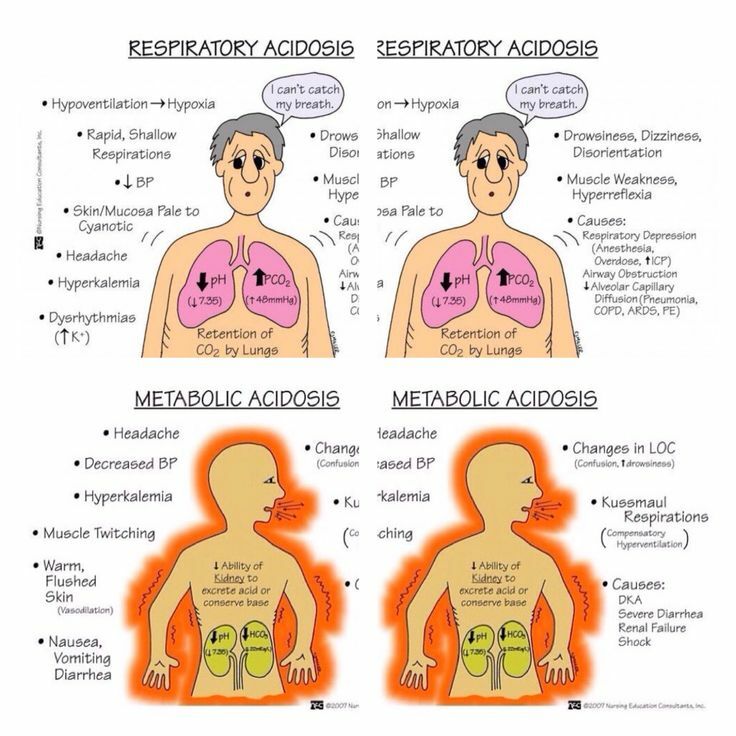 When your body fluids contain too much acid, this called acidosis. Alkalosis is a a condition when the body fluids contain excess base alkali. It occurs when your lungs and kidneys can’t keep your body’s pH in balance. Decreased carbon dioxide or increased bicarbonate levels in the blood. Maintain healthy weight and stay hydrated by drinking plenty of fluids. Maintain good health, eating healthy diet and staying hydrated.